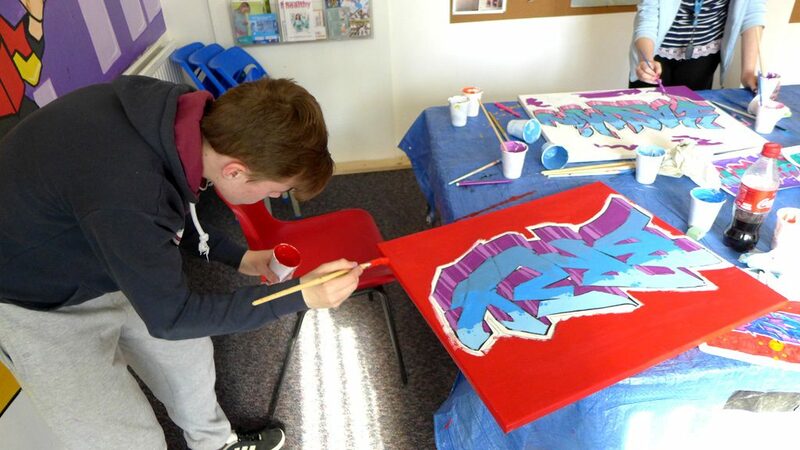 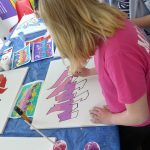 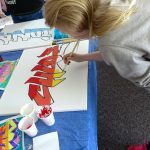 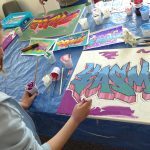 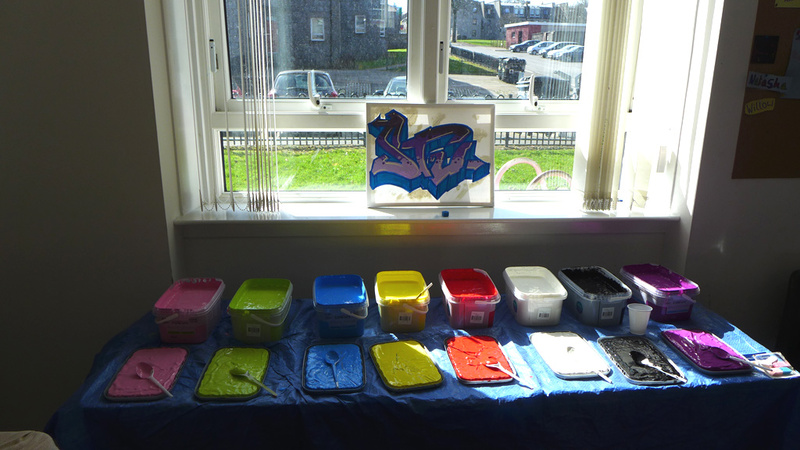 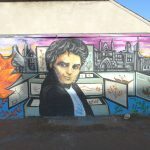 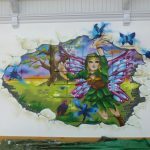 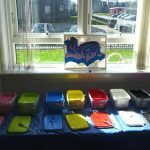 Graffiti workshop organised by Fersand and fountain project in Aberdeen, the young people worked very hard all day. 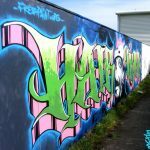 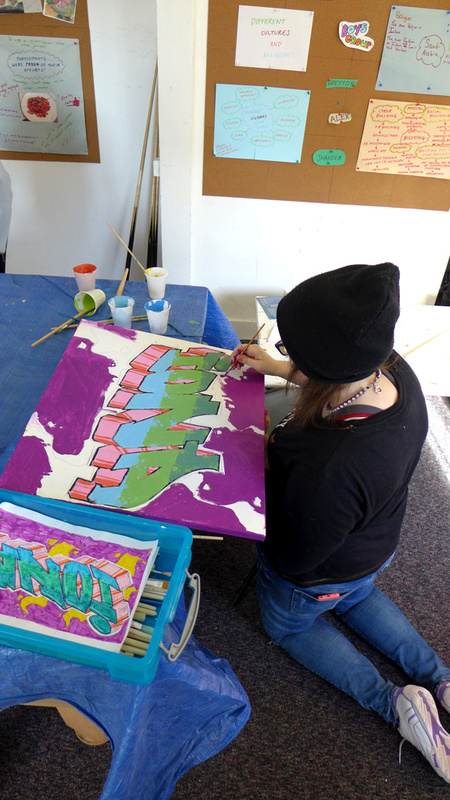 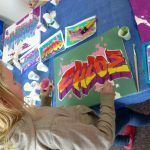 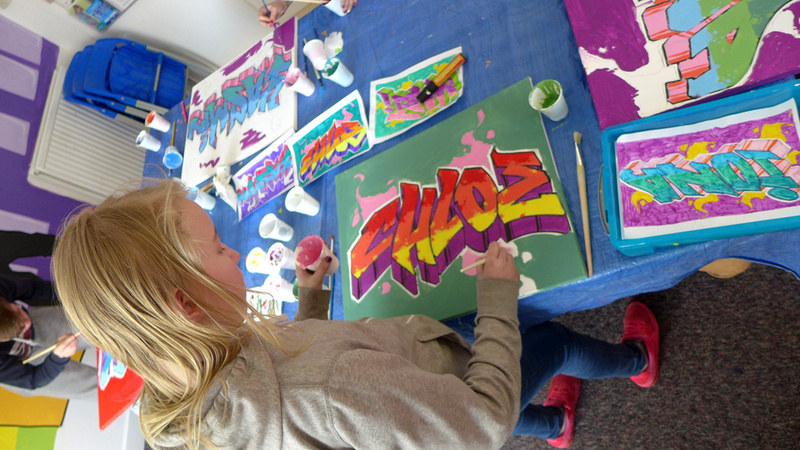 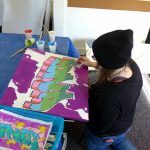 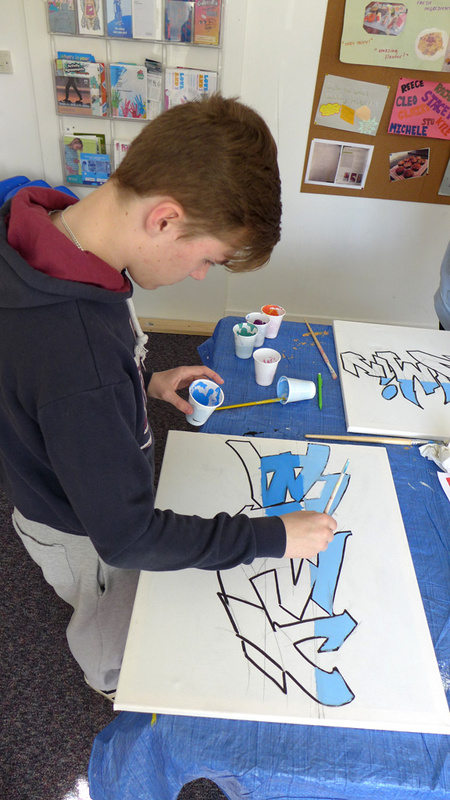 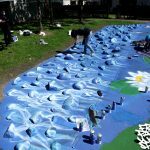 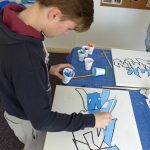 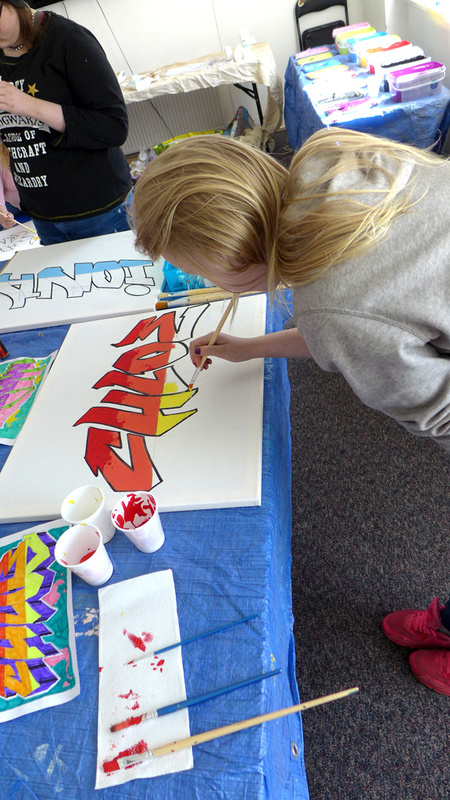 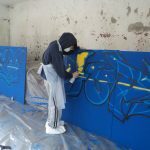 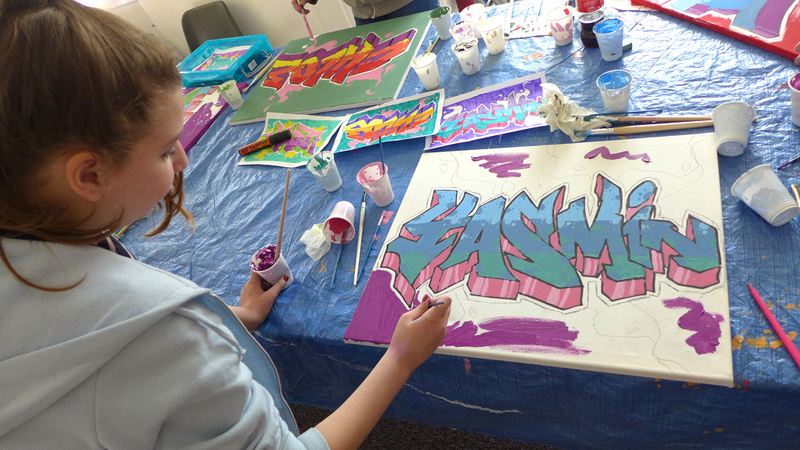 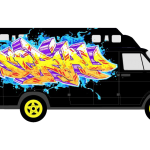 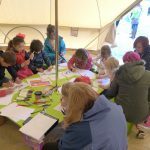 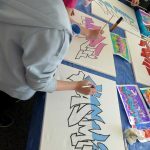 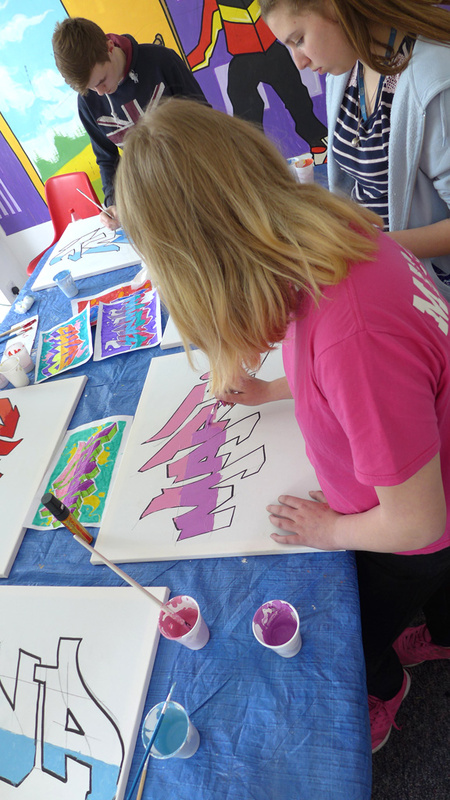 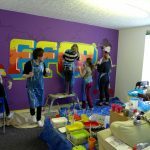 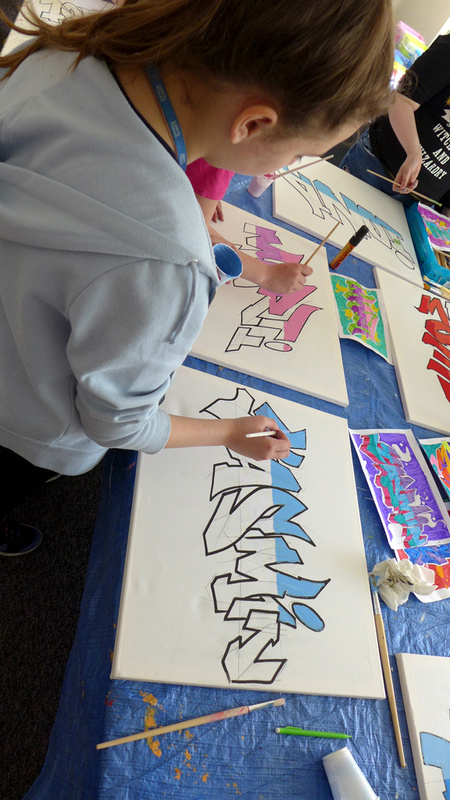 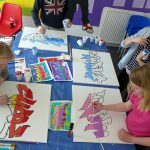 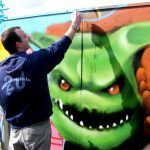 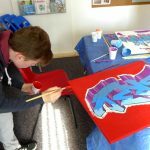 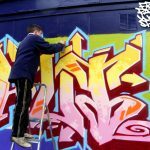 On the morning they worked on the design of their names in graffiti style lettering, then in the afternoon they painted it on canvas. 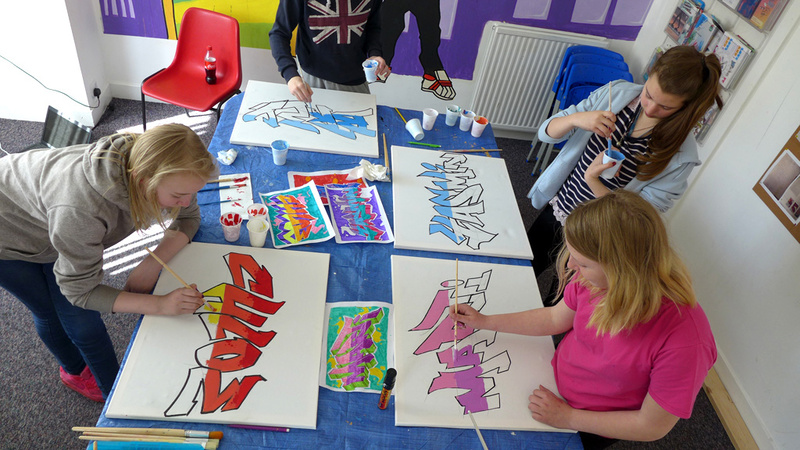 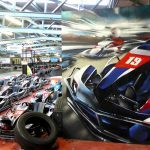 They achieved a very high standard artwork.